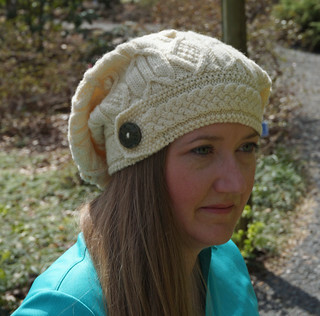 I just released my Master Knitter Level 3 hat pattern! This pattern uses about 500 yards of worsted weight wool yarn, and US 6 needles. It is designed to fit a 21 inch head circumference. 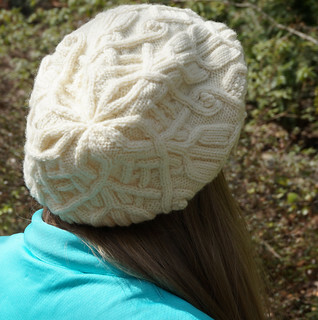 A braided cable brim is knit side-to-side, with stitches picked up to knit the body in the round. More cables (with bobbles!) join to intertwine together at the crown of the hat. The style is a slouchy beret style. A unique button is showcased on the brim. Charts are included.